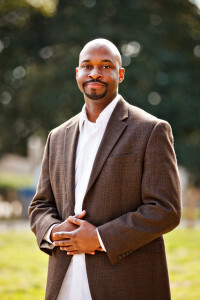 Dr. Joseph Jones, Executive Director of the Social Justice Initiative was recently announced an ACE Fellow of the 2013-2014 class. The Ace Fellows Leadership Program was established in 1965 and is the longest running leadership development programs in the United States, which focuses on developing senior leaders for colleges and universities. Jones is among 49 other fellows who will undergo vigorous leadership development through workshops, forums, meetings, and projects all to enhance knowledge in areas of concern in relation to higher education. Among the 2013-14 Fellows are an individual sponsored by the F. Marian Bishop Charitable Trust Bishop Fellowship Program; three partially sponsored by Fidelity Investments Fellowships for Leadership Development; and 10 partially sponsored by Council of Fellows Fund for the Future grants. In addition, two Fellows in this class are from Historically Black Colleges and Universities; three are from Hispanic-Serving Institutions; two are from community and technical colleges; two are from Latin America; and one is from the John N. Gardner Institute for Excellence in Undergraduate Education. Many higher education leaders have most likely participated in an ACE Fellows Program. More than 300 Fellows eventually end up serving in a higher education position such as chief executive officers and more than 1,300 serving as provosts, vice presidents, and deans.